Ah, the glory days of the ’80s and ’90s where every other arcade machine was a beat’em up of some sort. I must have spent a small fortune pumping quarters into the Final Fight arcade machine! And now it appears I only have to spend $20 to play the arcade machine on my Switch, plus it comes with a host of other great games! 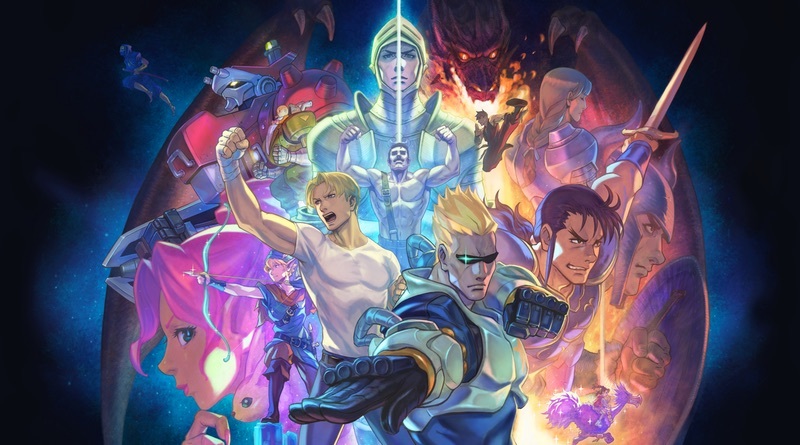 Capcom Beat ‘Em Up Bundle is a collection of seven arcade games. They include: Final Fight, The King of Dragons, Captain Commando, Knights of the Round, Warriors of Fate, Armored Warriors, and Battle Circuit. Not bad for a $20 bill! The game hits very soon: September 18 (next week). Capcom today announced Capcom Beat ‘Em Up Bundle, a new collection featuring seven games that pay tribute to the classic era of arcade side-scrolling co-op games. Releasing September 18, 2018 for PlayStation 4, Xbox One, Nintendo Switch, and Steam for MSRP $19.99 in North America, Capcom Beat ‘Em Up Bundle features seven of these classic beat ‘em ups, including two never before ported titles, in one essential collection.